My New Year's resolution is to make this year a bumper year full of new designs, kits and products in my online shop. I'm already working on a new India design in cross stitch, but my biggest project to date is around my Snowballs characters. 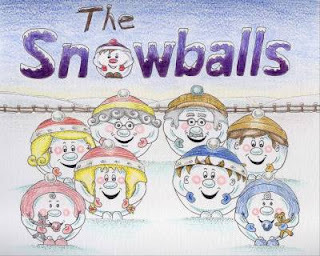 The Snowballs are a set of fun little characters that I have built children's story books, cross stitch kits, craft projects and even a toy town around. I am busy putting all these ideas together into a range of products - look out for them in my shop soon!